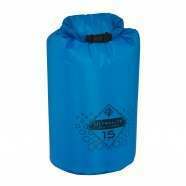 Overboard Dry Bags - Overboard 20 Litre Window Tube Dry Bag - Yellow :: Unisex > Kayaking. The bag will protect contents from sand. dust and waterWelded seamsMaterials: 1600D nylon-coated PVC tarpaulinMulti-purpose storage application100% waterproofWipe cleanRemovable shoulder strapCarabineer clipDry BagWeight: 0.52kgFloats if dropped in waterDimensions: 40cm x 24cm x 74cm Size: one size.